With over 35,000 votes cast, we've closed the last edition of Stadium of the Year. Both winners are still to receive their awards. We take a look back at what took place in February and March. Also, do you remember major recent news? The content you'll find below is already a few days old. 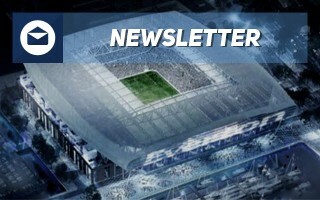 We present it here to show you what our newsletter subscribers receive on a weekly basis. If you wish to get such summaries regularly, please use the above box to subscribe. How time flies! It's already been two weeks since we've announced the Public and Jury's selection in the last edition of Stadium of the Year. Now that the awards are being melted from glass, let us recap: The Public Award is going to Volgograd as the first Russian winner of the Popular Vote. 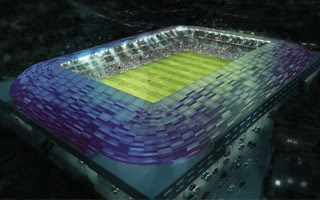 Meanwhile, the much more compact DVTK Stadion in Miskolc won the Jury Vote with the highest notes ever, as the smallest venue ever and the first Hungarian winner, as well! 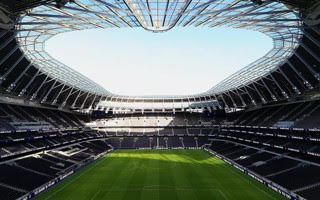 Now, on we move to perhaps the biggest favourite in next year's competition: the new Tottenham Hotspur Stadium is about to open. We wrote about it last week, now the date has been confirmed as April 3. Just north of London, in Luton, an already award-winning stadium (despite being at design stage only!) is progressing towards construction. And even further north, in Liverpool, Everton is confident of stadium funding but not so much of their planning permission. Application would only be filed before year end in order to open in 2023. Another potential candidate for Stadium of the Year 2019 is about to open in Minneapolis. 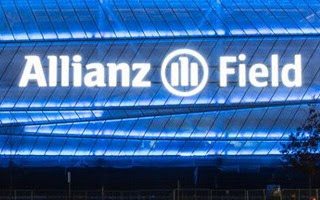 The home of fresh MLS franchise Minnesota United FC, Allianz Field has officially been handed over and is now being prepared for inauguration in April. Meanwhile in Miami and Fort Lauderdale work is moving forward for another new franchise's home. Actually, two homes, because Inter Miami will have two stadia. First two seasons in MLS would be played at the reinvented Lockhart Stadium, should their latest concept win approval. Disturbing news is coming from Kaiserslautern, where the giant Betzenberg is only filling in some 40%, 1. 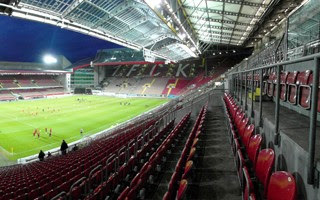 FC Kaiserslautern are losing money, and so is the city. In order to provide a sustainable future for the stadium it might have to be sold to a private entity not associated with the city or football club. But would this be a future for 1. FCK? Meanwhile, in a different part of Germany the mood is more celebratory. SC Freiburg's new stadium will see official cornerstone ceremony in the upcoming week, though construction is already underway. Brand new plan is being drawn for Brussels, following the city's exclusion from Euro 2020 host list. 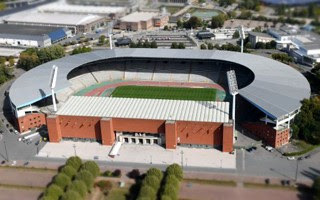 With the vision of Eurostadium effectively dead, the football association and organisers of Diamond League Van Damme Memorial have proposed redeveloping current Koning Boudewijn Stadion into a modern 40,000-seater that would retain its running track. With support from major political powers, this concept might prove more viable than the previous one. And lastly, let's get back to two forgotten stadiums, which get a chance at fresh start in 2019. First, great news came from Bulgaria, where the new Botev Plovdiv stadium is once more under construction, for the first time in almost 5 years. Second, the deadlocked Casement Park stadium project should finally get its planning permission this year. Or so we hope!